Our Mammography Coach serves women in need. Please make a donation today! I want to learn about ways to give. I want to participate in fundraising events. From providing lifesaving breast milk to a premature infant to caring for survivors of sexual assault, Woman’s programs and services support the most vulnerable members of our community. Maintaining these programs becomes a greater challenge each year, and we must look to friends like you for support. To raise philanthropic support to improve the health of women and infants at Woman’s. To build long-term sustainable relationships between Woman’s and the community through innovation, strategic partnerships and stewardship. Honor your child with a nameplate on our Wall of Stars. 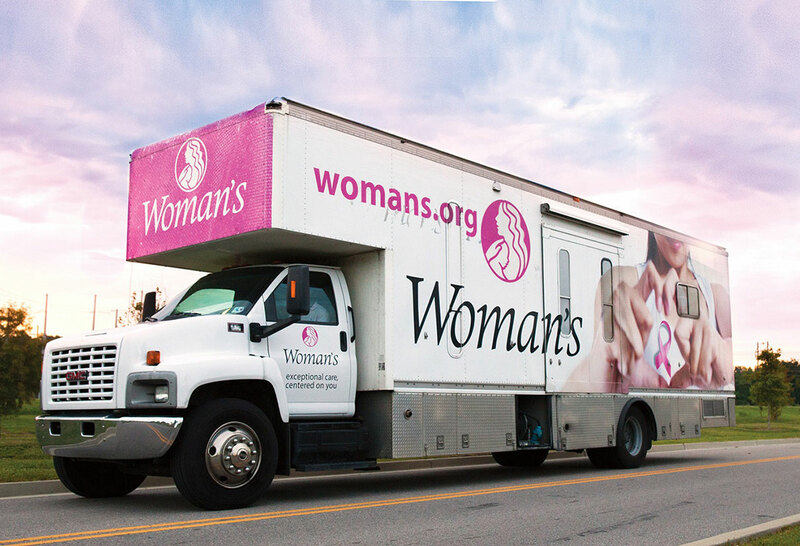 Our Mobile Mammography Coach travels throughout the region to reach women in underserved areas. Sick and premature babies have significantly better outcomes when fed breast milk, but some mothers cannot breastfeed for several health reasons. That's why we began our Human Donor Milk program. Woman's Family Trees serve as a tangible symbol of your support of Woman's and our community.